*If you do nothing else today, make a quick stop at your local Target or purchase online. 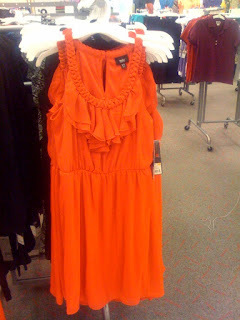 This ruffle braid dress is practically free, and every girl knows a good compliMINT is priceless. Trust me-someone will want to know where you got this. Whether or not you share the info is up to you. This dress should be worn bigger rather than smaller. For bonus points add a thick-ish brown belt and gold jewelry. You are going to look fantastic in this color! Do you think this is suitable honeymoon attire? i wore this to a party and got tons of compliments - thanks for the tip, heather!! keep 'em coming!